The game is simple. Throw the pallino (small ball) then take turns throwing the bigger balls and try to get yours closer than your opponents. Each ball that is closer than your opponents is one point and first to 12 wins. Winners throw the pallino. The thrower must be behind the foul line, which is 4 feet from the backboard. The pallino must pass the halfway mark of the court and must not hit the back wall. If the ball does not reach halfway, hits the back wall, or goes out of bounds, the opposing team will throw the pallino. Keep alternating between teams until a valid throw is performed. * The winners of the coin toss will still retain the first throw regardless if they foul on the pallino throw. The winners of the coin toss throw the first ball (again from behind the foul line). Remember the objective is to get as many of your balls closer than your opponents at the end of the round (after all the balls have been thrown). A player may also throw from the hitting line, 9 feet in front of the backboard, IF they announce that their intent is to “spock” aka hit any of the balls already in play. If no ball is hit, it is treated as a dead ball and removed from play. So basically, within 4 feet of backboard for any throw and within 9 feet of backboard for a “spock” throw (but it must be announced prior to the throw). Alternate turns after every throw until all the balls have been thrown, then score. After scoring, the pallino throw as well as the first bocce ball throw goes to the team that did not throw in the previous match (the losers of the coin toss) and will continue to alternate each round until the end of the match. Throwing will now take place on the opposite end of court and continue alternating until the game is over. Only one team may score in each round. The game is won by the first team to reach 12 points. 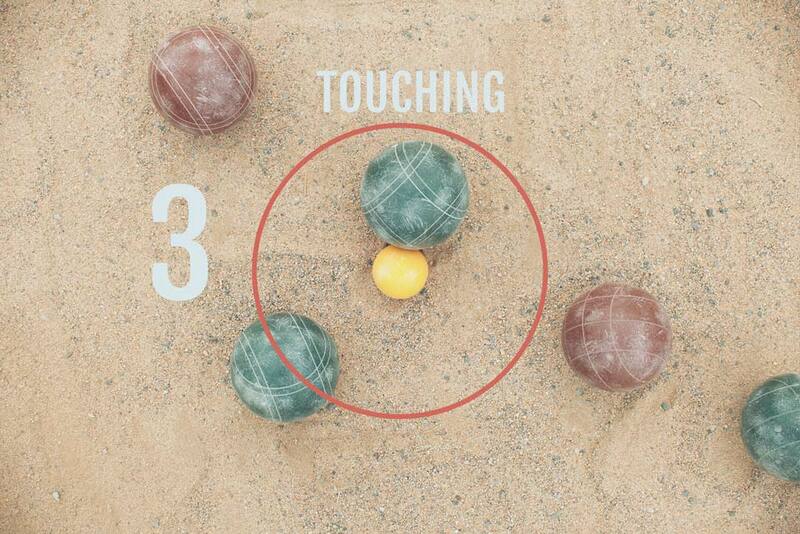 To score, players count the amount of their balls closer than their opponents. Basically, ask yourself, “How many of my balls are closer than yours?”. 1 point is awarded per ball. If playing by the kiss rule (mentioned in the common variations section below) 2 points are awarded per ball that is touching the pallino. If there is a tie for the closest ball no points are awarded. Ties cancel the balls out. So if there is a tie for the second closest ball, there would only be one point awarded. These cases are VERY RARE so don’t fret too much on this rule. It’s easier to explain visually so here are some scoring pictures to help you out. 0 PointsThe red and green are equal distance from the pallino and cancel each other out. 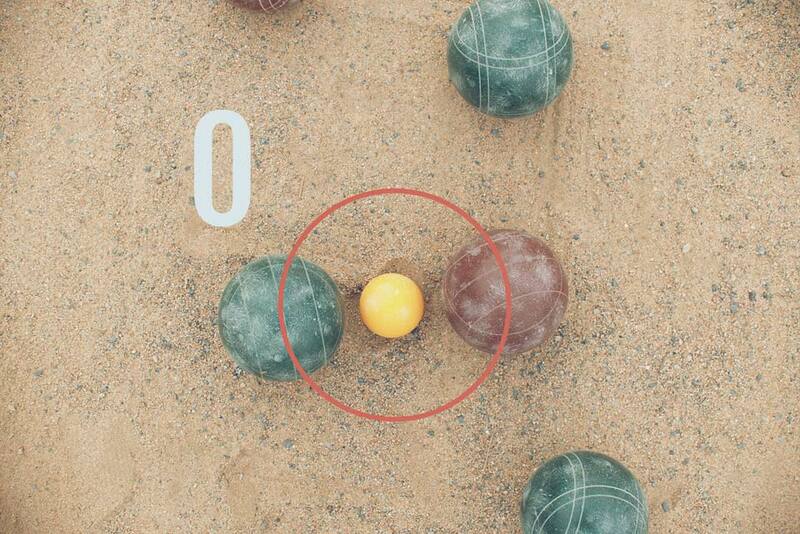 There are a few fouls in bocce and they all have the same outcome. The fouled ball will be removed from play and any ball affected by the foul ball will be placed back in their approximate original position. The player crosses the throw line when throwing. Instead of simply alternating throwing balls, a common variation is for the second thrower to continue throwing until they have a ball closer to the pallino than their opponent. Once this is achieved or all of their balls have been thrown THEN the other team begins throwing until they get a ball closer to the pallino. Keep alternating in this fashion until all balls on both teams have been thrown. I prefer the simpler version of just alternating after every throw as you don’t have to run and check after every throw to see if you got one closer. Instead of playing up to 12 the players can decide on any score. Common target scores are 13, 15, and 21. 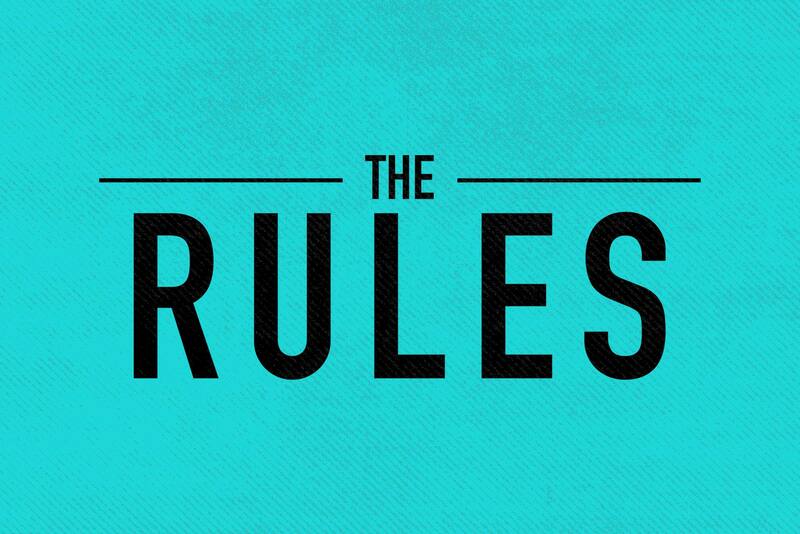 In addition, a “must win by 2 rule” is also very common. And for some extra fun, if a ball is touching the pallino after all balls have been thrown, 2 points are awarded. This is called a baci or kiss. I love the 2 point kiss rule! Also play by the must win by 2 rule. Last, but certainly not least, there is a common rule where one must throw only with their drink in their non-throwing hand. This is a social sport, and drinks are encouraged. Kids can have lemonade in hand to join the fun of this rule. Do you play by any other rules? Procedural question: red rolls first. green rolls a ball that is same distance from the ‘jack’. 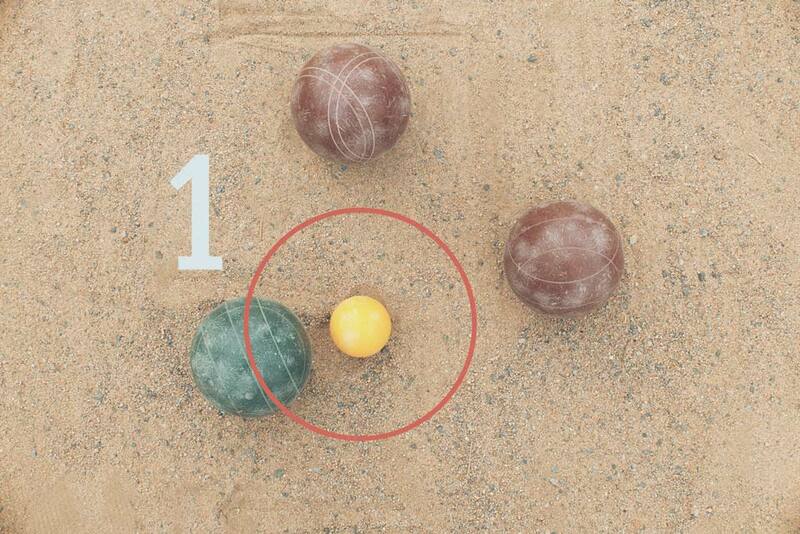 Since green did not beat red, green should roll the next ball because green did not beat the red ball. 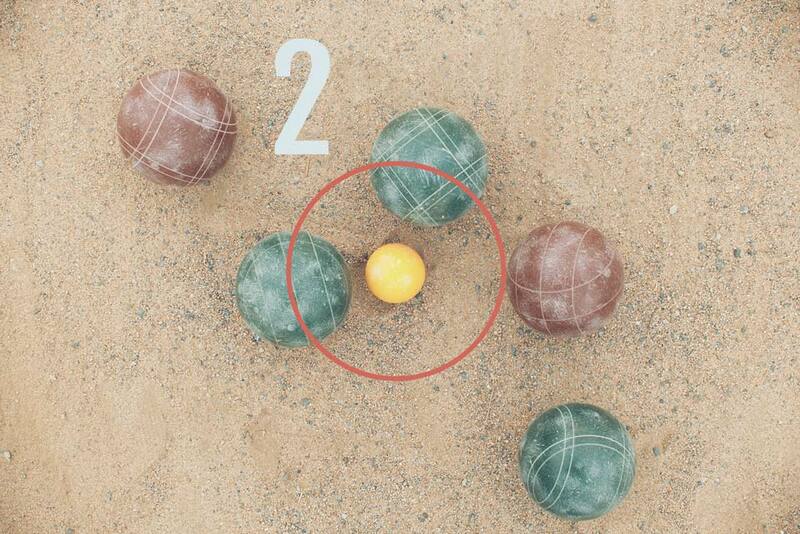 Our judge ruled red should roll the third ball. I disagree with that ruling. Comment please. Thank you. Hey Maurice, so sorry for the extremely late reply! You are correct. Green should have gone again. It must be closer than the opponents ball (tied is not closer) for the throw to go to the opponent.